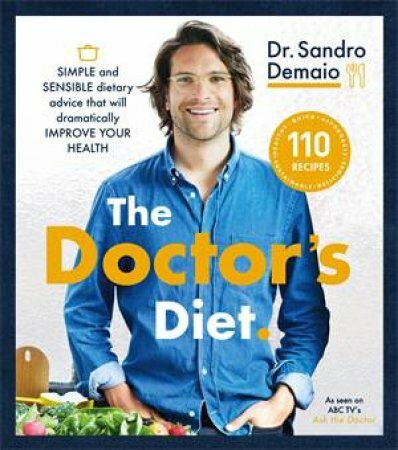 Like many Australian doctors worried about soaring rates of obesity, diabetes and heart disease, Dr Sandro Demaio, star of the ABC's Ask the Doctor knows that the single most effective thing we can do as individuals to improve our health is to improve our diet. He also knows that many of us are confused by what this means. His first book, The Doctor's Diet, cuts through the noise of conflicting dietary information and presents a simple, affordable and delicious way of eating that is accessible to every Australian. Drawing on his Italian heritage, his medical training and knowledge as an international expert on obesity, he explains that the best diet is one based on unprocessed ingredients, simply and easily prepared. The book features 120 recipes, eating plans, and clever tips for making sure that preparing and eating good food is the most pleasurable way possible of getting well and staying healthy.